Hurtigruten ASA provides real experiences in unique waters. The company is a travel industry company with its roots in the coastal express route between Bergen and Kirkenes. Their cruises are more expedition voyages with trained destination & nature specialists on board the ship. 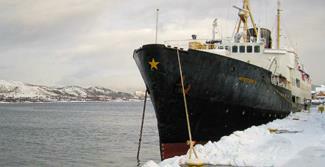 For more than 115 years, Hurtigruten have been a part of the coastal areas of Norway. 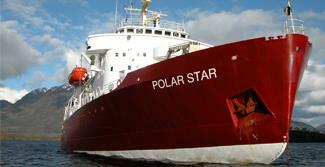 They have since expanded their horizons to include voyages to Greenland & the South Pole with Antarctica. Though comfortable & stylish, their ships lack many of the typical cruise liner trappings: casinos, entertainment, etc. In Hurtigruten's own words, on their voyages Mother Nature provides the entertainment, and interaction with fellow travelers and spectacular scenery is the main draw. Fellow Passengers: Hurtigrutens guests are well-travelled, older and sophisticated, with very few families on board. They are looking for an enhanced vacation experience and are perfectly content simply enjoying the spectacular scenery and picturesque communities. 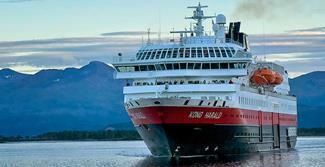 Hurtigruten ASA-12 cruise circum-navigating Iceland onboard MS Spitsbergen from GBP 3607 pp! 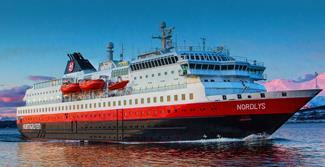 Hurtigruten ASA-Discover the Northern lights on a 12 days Classic Voyage starting from Euro 1,270pp! 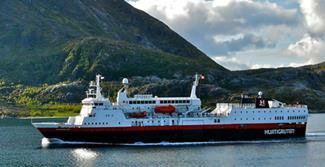 Hurtigruten ASA-Book Classic Coastal and Explorer Voyages without any Single/Solo Supplement for select cruises! Hurtigruten will take you to either end of the Globe. Travel to the Far North to experience Norway, the North Cape, Antarctica and Spitsbergen. Hurtigruten offers breathtaking cruises up Norwegian fjords and to Greenland and Spitsbergen, where turquoise icebergs glimmer in the Northern light and polar bears hunt in the midnight sun. Or, if the wildlife of the farthest most Southern ice shelf is your dream, Hurtigruten can take you all the way to Antarctica at the bottom of the globe! Be an Antarctic explorer among the penguins! Sail near monolithic glaciers and among scatterings of icebergs on your Antarctica cruise. 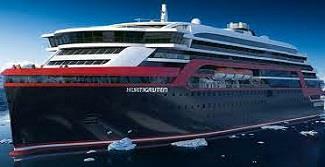 In 2019, Hurtigruten will add a brand new ship to its fleet: the MS Roald Amundsen. The state of the art vessel features new and environmentally sustainable hybrid technology that will reduce fuel consumption and show the world that hybrid propulsion on large ships is possible.MS Roald Amundsen will feature three restaurants inspired by Nordic and Norwegian heritage. The flexible venue will feature lecture spaces, a small library, and speciality areas for workshops in photography, biology, and more. Polar Star was built by Wärtsilä in Finland in 1969 and went through a major rebuilding and modernisation in Sweden in 1988. The ship is in excellent condition. All the cabins are facing out and have a window. Bright, cheerful public areas and lounges contribute to the informal atmosphere of MS Vesterålen. Throughout your voyage you can enjoy the views from the panorama lounge or the extensive art collection on board. With limited passenger capacity, a voyage on MS Veste¬r¬ålen is truly something special. The bar is named after the Norwegian polar pioneer Fridtjof Nansen, while explorer Roald Amundsen lends his name to the café. The top deck offers great views of nature, whether you choose the sun deck, the observation lounge or the panorama lounge. The ship's art, décor and colours are all inspired by the Northern Lights. Working with her light and delicate interior, Norwegian artists have created a unique and distinct environment on board. Passengers are encouraged to relax in the ship’s elegant maritime atmosphere in a choice of lounges and comfortable reclining chairs after a day of experiencing the various excursions and activities.